Welcome back to Term 2. It was wonderful to see many parents taking advantage of the opportunity to meet with staff at the Parent Teacher Interviews last week. We believe that if teachers, students and parents build strong relationships, they can work together to improve learning outcomes. Please use the feedback from the Parent Teacher Interviews as another platform to initiate discussion with your daughter about her learning journey. Encouraging girls to get involved and contribute to our community through the Focus Week program helps to develop their personal, social and intellectual growth as well as a sense of responsibility. Through this process, students become active partners in identifying community needs and develop skills in planning and organising service activities. This week students from 9H have organised a range of activities promoting the theme of ConX, which encourages girls to get involved and connect with each other, whilst raising awareness of the movement Time’s Up. As the girls explained, “This is a movement that started with celebrities wearing black at the Golden Globes, and has since grown to a world-renown movement, all about raising awareness for sexual harassment in the workplace. We would like to spread awareness for this problem which can happen to any woman in the workplace, and because this is a girl’s school we thought this issue would be very relevant and help promote sisterhood and ConX throughout the Middle School”. They hope through activities such as factual daisy chains, a feminist speech compilation and team building exercises as well as the visual reminder of black ribbons, to highlight their message of empowering women. 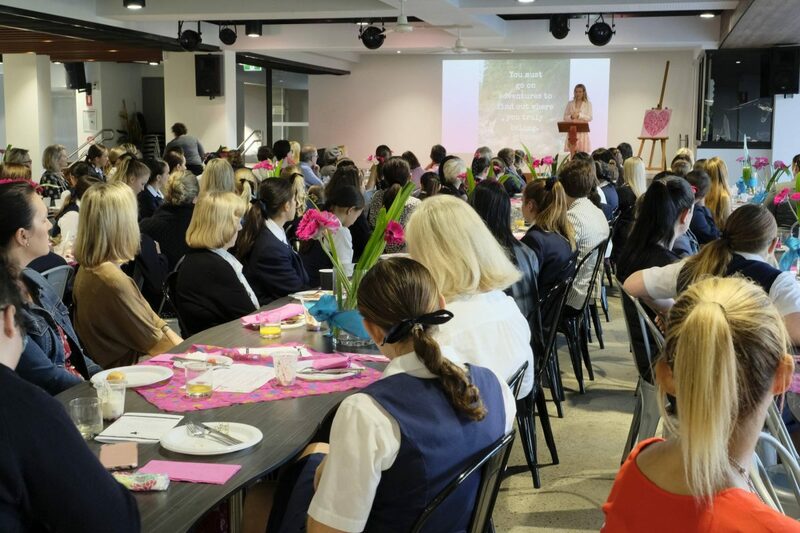 The Pink Breakfast for Middle School students not only gives us the opportunity to celebrate the bond between mothers and daughters, it also acknowledges the special role that grandmothers, aunts, sisters and other important female role models play in the life of our girls. Spending time together is one of the most crucial things mothers can do to forge a strong bond with their daughters, particularly during the often difficult adolescent years. Please join us on Friday, 18 May as we pay homage to this special relationship. Click here for details of the event. To be ready, the girls need a good night’s sleep, a healthy and substantial breakfast, and the necessary equipment. We wish the girls well and know they will do their best. Participation in sporting and cultural pursuits is an integral and enjoyable part of our girls’ daily lives. Our approach aims to instil discipline and focus, whilst also promoting the importance of teamwork and commitment. Opportunities to participate in school events such as the School Musical and the QGSSSA competition promotes confidence and builds a sense of community. We look forward to seeing parents at these events in the coming weeks. Term 2 key dates – Middle School.